Designed to integrate all of your various payment acceptance methods— from swipe terminals and mobile readers to our Ajax Tokenizer and virtual terminal—Our Gateway offers one centralized, secure solution. The CardConnect Gateway collects vital business data like settlements, deposits, and statements all in one place. 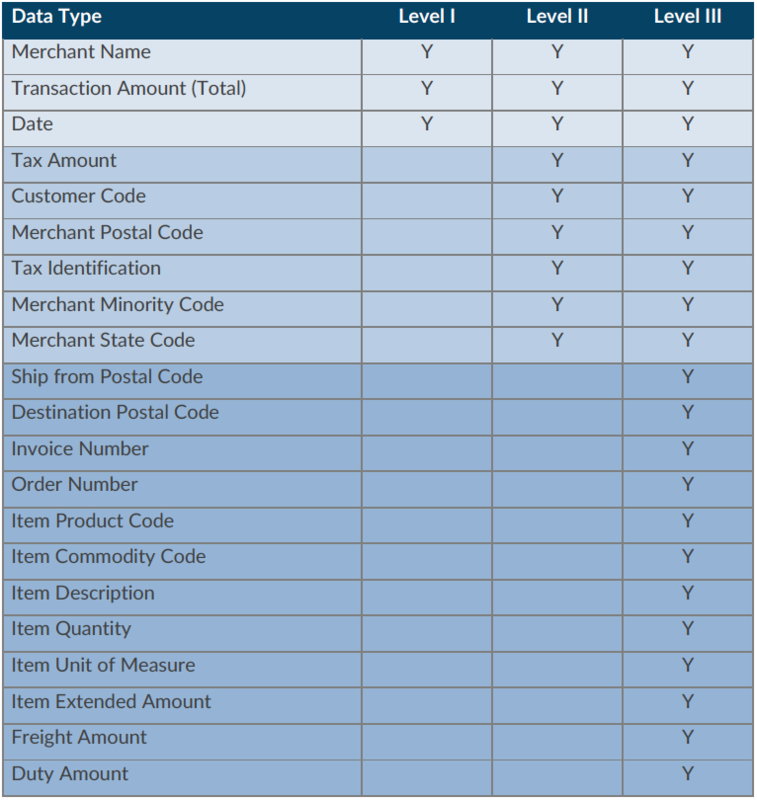 Our customizable reconciliation solution ensures reconciling cash-toreceipts is integrated and automated. APIs for SOAP and REST accommodate PHP, JSON and Java are user-friendly and easy to understand. Integrate our Gateway into virtually any proprietary application or third-party business system (including Oracle and SAP). Integrate your business environment to CardConnect Gateway and know that our patented tokenizer is protecting your customers’ sensitive information from breaches and takes your applications out of PCI Compliance scope. There is a critical need to secure payment card information, personally identifiable information (Pl I), and other types of confidential information that a business collects related to their customers, patients, and employees. To ensure that this need is met, all computer systems a business uses to process unencrypted confidential information, and possibly an entire corporate data center, must be compliant with a variety of regulations. The cost of compli­ance, as well as the cost of verifying compliance, can be substantial, both operationally and financially. 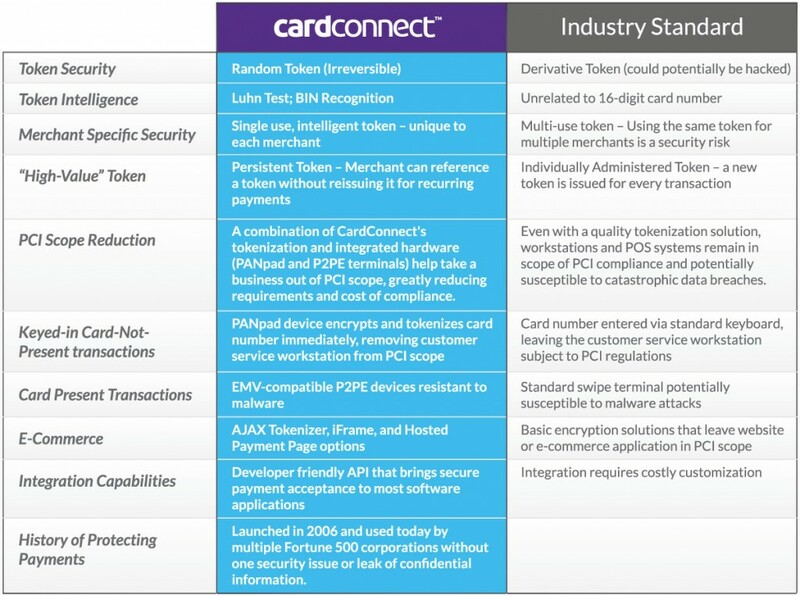 During the past 20 years, CardConnect has become quite familiar with these regulations when architecting enterprise-level payment solutions for dozens of corporations. CardConnect has worked to develop solutions that minimize the exposure and risk a business has when handling confidential information. The end result is a patented system that uses tokenization in regards to the introduction, storage and use of confidential information in corporate enter­prise systems. Before confidential information can enter a business system, application or computer, the information is captured and stored within a tokenizer. The tokenizer then returns a random string of data called a token. The token has no algorithmic relationship with the original piece of data (such as a credit card number), meaning the token is irreversible, and cannot be unlocked with a decryption algorithm. The only application that contains the token’s corre­sponding confidential information is the tokenizer, which is securely hosted and protected by CardConnect. Due to the irreversible nature of the token, tokens can be used in any applica­tion without the application, business system, or network having to comply with regulatory standards, such as the Payment Card Industry Data Security Standard (PCI DSS). 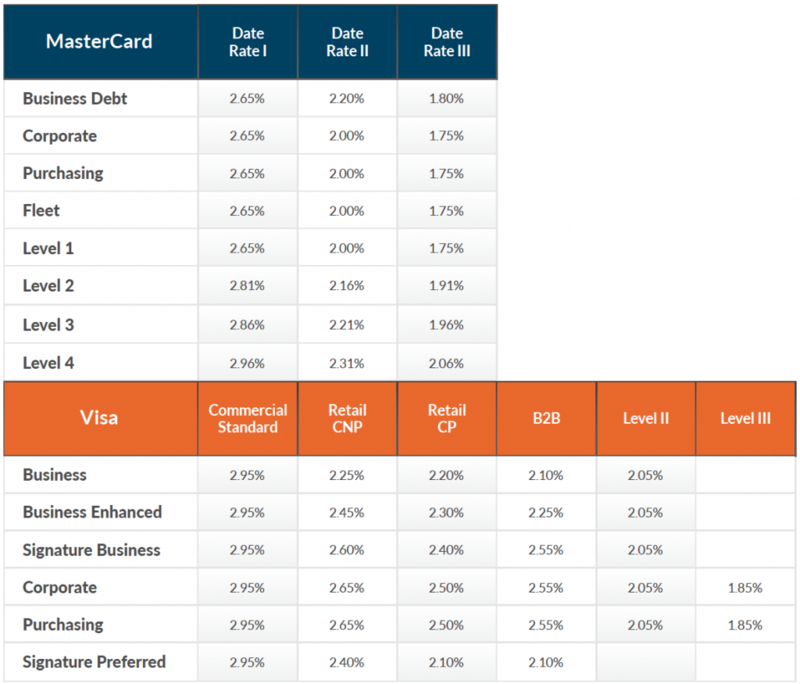 PCI DSS standards define cardholder data as any clear or encrypted primary account number (PAN), and declare any system that “processes, stores or transmits” cardholder data, as well as any system on the same network segment, must comply with the DSS standards. Government agencies describe PII as information which can be used to distinguish or trace an individual’s identity (name, social security number, biometric records) alone, or when combined with other personal or identifying information which is linked or linkable to a specific individual (date and place of birth, mother’s maiden name).